Furniture retailer Ikea has launched a program that will allow people to bring back gently used furniture to be resold at their stores, reducing the amount of waste that goes to landfill while giving their customers store credit to buy more stuff. 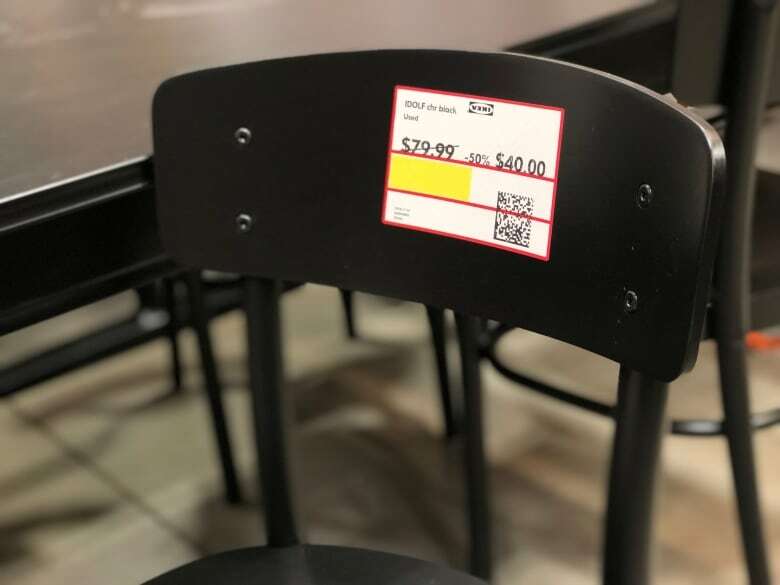 Furniture retailer Ikea has launched a new program that will allow people to bring back gently used furniture to be resold at their stores, reducing the amount of waste that goes to landfills while giving their customers store credit to buy more stuff. The retailer first pitched the idea more than two years ago and has had pilot projects elsewhere, but they are now rolling the program out in Canada. The sell-back program is available to members of the company's loyalty program, Ikea Family, which is free to join. Under the plan, members submit an application to sell their used items back to the company for in-store credit. 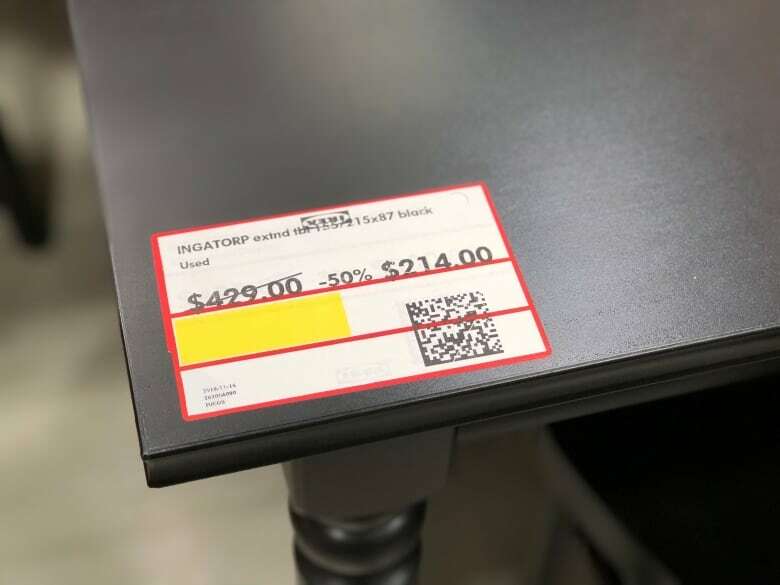 Ikea evaluates the product's condition and makes an offer back if the item is considered in good condition. If it's accepted, the customer gets a gift card for that amount. And the store sells the item in their "as is" section of lightly damaged merchandise. Not everything the chain sells is eligible; only certain dressers, tables, chairs, cabinets and stools are included. Bedding, or anything with glass, or used for food preparation is excluded. The plan is being pitched as a win-win for both the chain and its customers: both sides want to ensure that usable goods don't go to landfills, and consumers can get a little money to spend on more Ikea products. "We provide a solution for customers who may be finished with an Ikea product," said the company's head of sustainability, Brendan Seale. "We put a dollar value back in their pocket and prolong the life of the product and create a positive social benefit." It's early days yet, but so far the initiative is looking promising — the company said it has already received more than 1,000 submissions from would-be resellers. "We want to learn from our customers, how it's working for them, and how we could expand it in the future," Seale said. It's part of the company's broader initiative to reduce its environmental footprint, which includes moves to phase out single use plastics by 2020, and other recycling programs. Marketing expert Brynn Winegard said the company has come a long way since the days when the chain was targeted for the notoriously short life span some of their products had in the past. "They came into a lot of backlash about 20 years ago from environmentalists and consumers who said there's a huge amount of the world's wood going into your products," Winegard said. Winegard gives the chain a lot of credit for the initiative, and suspects it's likely to be a win for them at comparatively little cost. "It's not likely they're going to be able to sell these products for a huge margin or profit," she said. "It's just increasing the lifecycle." It also taps into a broader corporate trend to reduce waste to save money — and help the planet in the process. Trevor Langdon is president of Green Standards Ltd., a Toronto-based firm that works with companies large and small to help them responsibly redistribute no-longer-needed office furniture, equipment and supplies. According to the U.S. Environmental Protection Agency, up to 8.5 million tons worth of usable office furniture ends up in landfills annually. But since 2011, Green Standards said its efforts have diverted 46,000 tons of what would otherwise have been waste, and redistributed them to community agencies in need — for no added cost to the companies with stuff they want to get rid of. "Throwing out your furniture in the landfill is not free or cheap," Langdon said. "You have to pay for movers and trucks and then tipping fees," he notes, which is why his sales pitch most often focuses on how their services can save money — if not the planet. He cites the example of Adobe Inc., the California-based technology company that was renovating its headquarters in 2012. Green Standards worked with the company to find new homes for several floors worth of office furniture that would have otherwise been bound for the landfill. For less than what it would have cost to throw out, Adobe ended up donating the equivalent of $444,678 US to local community groups. "It's a great way to walk the talk when it comes to sustainability," Langdon said. 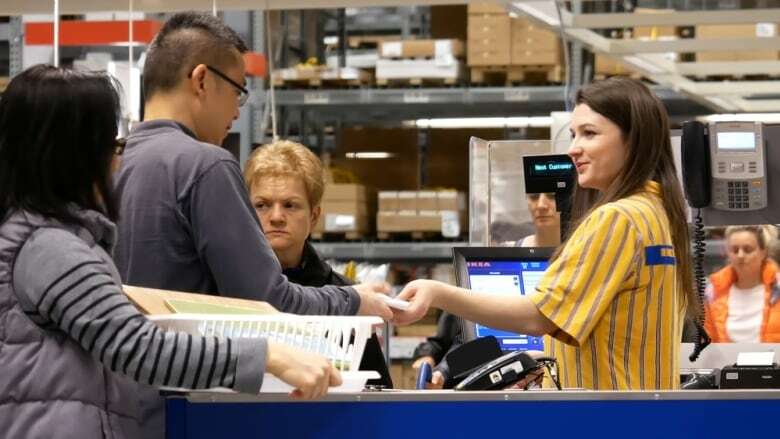 Back in Ikea's showroom, consumers who spoke to CBC News could also see the upside. While perusing a sampling of gently used furniture at a Toronto-area store, shopper Alex Ketchum said he would consider it. "If it's in good condition, yeah why not," he said. "I think it's pretty genius," he said. "It's kind of like recycling." The initial version of this story reported that Green Standards Ltd. is a U.S.-based company. In fact, the company is based in Toronto.